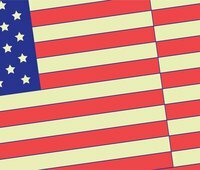 We are pleased to invite you to Cybersecurity for a New America: Big Ideas and New Voices, a day-long conference that will launch our new cross-disciplinary initiative in cybersecurity. In addition to featuring keynote remarks by Admiral Mike Rogers, Director of the National Security Agency, this event will convene experts and practitioners from the public and private sector, military, media, academia, non-governmental and intergovernmental organizations for a series of discussion panels and first person “pop-up” style speeches on the wide range of cybersecurity issues that are affecting and infecting everything from personal devices and corporate networks to national defense and international affairs. The focus of the event will be to push past the status quo and instead explore the next generation of challenges, as well as highlight bold, new ideas to face them. CNN is the event’s media partner and will provide a live-stream of the event. 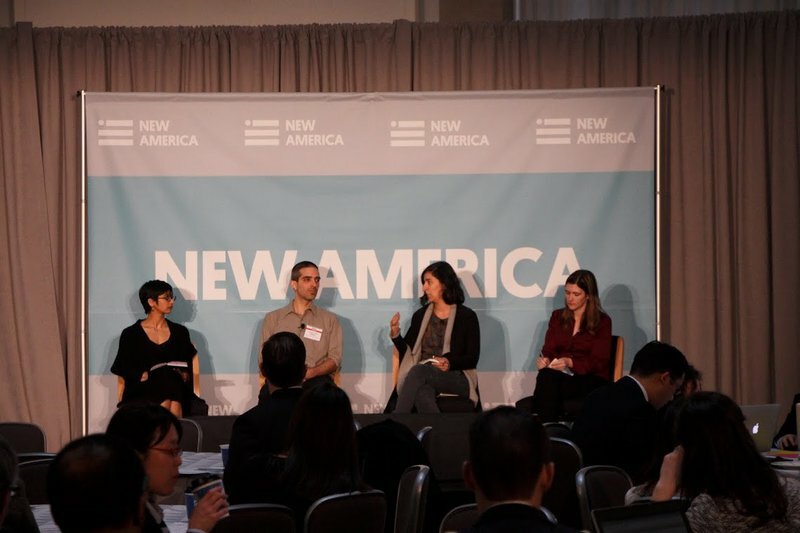 Join the conversation online using #NewAmCyber and following @NewAmerica. How can we protect both business and the wider net from the next wave of advanced persistent threats? Can we keep cybersecurity from becoming something only the rich enjoy? Where will the military, business, and hacktivist communities find the next generation of cyber warriors? What might a "Cyber Red Cross" look like, and do we need it? What is it like to be hacked for your political beliefs? What is the future of bounty programs and vulnerability marketplaces? How do corporations "head-hunt" for cyber board and executive talent? How do reporters and business "speak" about threats and why does that matter? What is the future of encryption and privacy? What can Kant and other philosophers teach us about cybersecurity? 9:10 AM: What is it Like to Be Hacked for Your Beliefs? 9:20 AM: Is Cybersecurity the Next Digital Divide? How can we secure the least secure among us? Though most Americans equate privacy with security, safety, and protection, the population most likely to do anything to keep themselves safe and secure online are college-educated, white men. But what about other groups, especially members of disadvantaged groups with low levels of digital literacy? What prevents more people from adopting secure technologies and being mindful of security risks online? And what needs to change in order to ensure that personal security online is accessible and available to everyone? 10:20 AM: New (and Old) Ethics: What Can Kant Teach Us About Cybersecurity? 1:50 PM: Do We Need a Cyber Red Cross? Cyber incidents will happen. They are likely to occur in spite of the important international efforts to strengthen norms governing and limiting the malicious use of cyberspace. We need a Cyber Red Cross, cyber humanitarians working across borders to respond to such incidents and to provide assistance where needed at times of war and peace. Can Computer Emergency Response Teams (CERTs) play this role? What other institutions and networks exist? What would the ICRC’s humanitarian principles of neutrality, independence, and impartiality look like for cyberspace? 3:05 PM: The Hunt for Talent: How Are Corporate Boards Faring? 3:15 PM: Where Can We Find The Next Generation of Cyber Warriors? While cybersecurity is seemingly an issue of technology, it is also a human capital issue. What are the attributes of the cybersecurity “warrior?” In a networked world of individual hackers, hactivists, APTs, private firms, cyber militia, and new cyber military units, do the old models of selection, training, and organization still apply? Who will win in this human competition for talent, and what are the consequences? The internal networks of Internet companies, retailers, financial institutions, nonprofits and even the entertainment industry and the Fourth Estate are now dealing with near-constant Advanced Persistent Threats. When nearly every major institution is at risk of targeted attacks by well-resourced players--be they states, organized crime, or a mix of both--that have resources to direct sustained, sophisticated hacking campaigns for financial or political gain, what is our best defense? How should the targets, the security vendors that assist them, and the policymakers that serve them react to an ever more hostile Internet environment that's starting to look more like a failed state than the info-utopia we once envisioned? And how do we combat these threats while also preserving the openness of the Internet and the privacy of Internet users? Chief Information Security Officer, Yahoo! Please note that this Feb. 23 event will be followed by another New America launch event for its new project on the Future of War, also at the Ronald Reagan Building on Feb. 24-25. This event is funded by generous support from the William and Flora Hewlett Foundation.